The six-million acre Adirondack Park is a mix of public and private lands, and is a patchwork of state land designations that categorize each public parcel into distinct land use classifications. 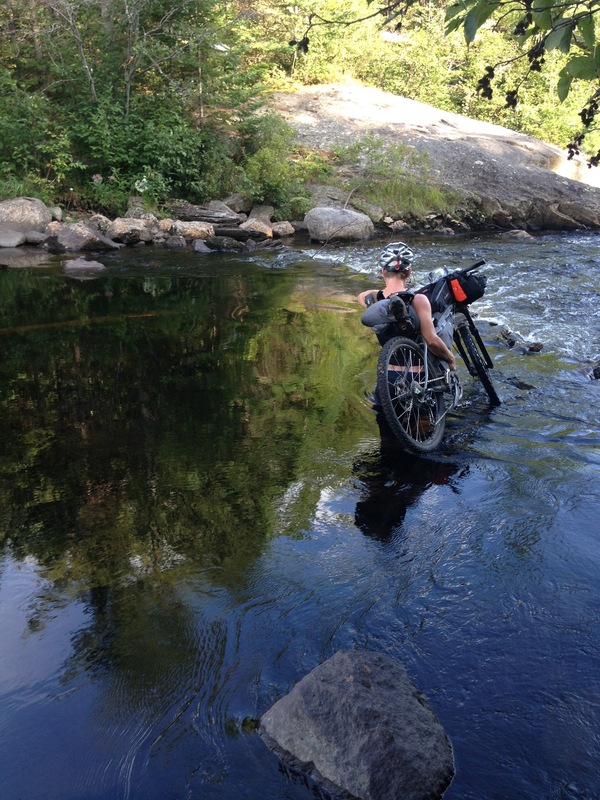 Because of this, linking sections of ridable trail to complete the route was a challenge. But in the end, it is an adventure that stays true to the Adirondack Park: a journey from the southern foothills to the rugged interior, and on to the vast north and the picturesque Champlain Valley. It is a loop through a beautiful and diverse eastern wilderness on trail, pavement, and dirt road. The Adirondacks are uniquely challenging – don’t be fooled by the lack of elevation – the climbs may be short, but they are usually steep. Long distances between resupply, the wild nature of the trails, remote dirt roads, and quickly changing weather should all factor into a rider’s planning. Although the route does not go through the highest peaks, these mountains are rugged and will put any rider to the test. The ride starts and finishes in the Village of Northville at Waterfront Park. Northville is a small and scenic town at the southern tip of the Adirondack mountains with a grocery store, hardware store, gas station, and a few places to stay and eat. A classic start. Northville also marks the start of the Northville-Placid Trail, a 133-mile hiking route through the Adirondack Park. Home to long distance adventure, the village is poised at the southern entrance to the Adirondacks and surrounded by lakes and low mountains. Located off of historic rt. 30, the Adirondack Trail, the village has all the necessary ingredients to kick off a classic ride. The closest towns with large hotels are in Gloversville and Johnstown, 16 miles south on Rt. 30.